If you frequently fly commercial for business or personal reasons, you might want to consider making the switch to private aircraft chartering. Compared to flying on commercial airlines (notorious for their unreliable flight schedules, long security lines and cramped quarters), private jet charter services provide the flexibility to travel almost anywhere in the world, often arriving at a location closer to your final destination, on your own schedule and in total comfort and convenience. Most air charter companies offer a wide variety of options, so you can choose the aircraft that best meets your specific aviation needs and the requirements of each individual trip. Chartering is also practical from a cost perspective because you pay on a trip-by-trip basis. Although chartering does not guarantee aircraft availability the way membership programs, fractional or whole aircraft ownership does, it’s still one of the most convenient means available to access private aviation. Before making the transition from commercial airline travel to a private aircraft charter, there are a few important things you should know. There are a few ways to charter a plane, including working directly with a charter operator or going through a charter broker. Charter operators are directly responsible for the on-going management and operation of the aircraft on their charter certificate, as well as staffing the plane. Charter operators are required to be certified by and receive regular oversight from the Federal Aviation Administration (FAA). Charter brokers are agents who act as liaisons between the client and the charter operator. If you choose to work with a charter broker, they will present you with a cost quote for your trip and, once you’re satisfied with the price and approve the quote, they will work with the multiple charter operators they have relationships with to secure the aircraft to complete the trip. A few days prior to your trip, your charter broker will send you the airplane tail number (the plane’s FAA registration number) and all other relevant information. Unlike charter operators, charter brokers aren’t required to be FAA licensed nor are they regulated — in fact, charter brokers aren’t even required to have any prior experience in the aviation industry. Although the majority of brokers are reputable professionals with extensive industry experience, it’s still important to do your due diligence before signing a charter contract through a charter broker. For example, if your broker is able to arrange an aircraft for charter but is reluctant to give you certain information about the plane (including the year, make and tail number) or who the actual charter operator is that will be completing the flight, it’s best to take your business elsewhere. 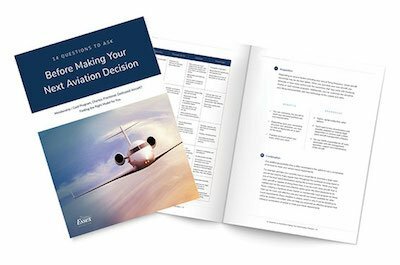 Before working with a charter operator or broker — or even pursuing charter services at all — consider seeking the advice of a qualified private aviation consultant. Aviation consultants, such as the experts at Essex Aviation, use in-depth cost and usage analysis to help you determine which private aviation service or combination of private aviation services is the best fit for your specific needs. If you decide to pursue private jet chartering, your consultant will represent you throughout the charter evaluation and trip approval process and work closely with your charter operator of choice to secure the best value and safest charter aircraft solution possible. Essex Aviation Group, Inc. was founded in 2013 with the primary goal of providing clients with the best, most current industry knowledge and experience, a vital component in evaluating the many options available to meet their business and private aviation needs. Essex has experience advising and representing clients in a wide range of services, including: new or pre-owned aircraft acquisitions, new aircraft completion management, pre-owned aircraft refurbishment and upgrade management, block and ad hoc charter services and more. If you’d like to learn more about Essex Aviation and the services we provide, contact us today.